Summoned to the Marquis d'Arc's remote French chateau in 1882 as companion to his daughter Lucy, twenty-year-old American Ellen Edmon finds intrigue, romance, adventure, and danger there and in Paris, heart of the French fashion scene. Once there, Ellen discovers that everything is not as it appears on the surface, and also finds herself falling for the attractive estate manager, who carries secrets of his own. 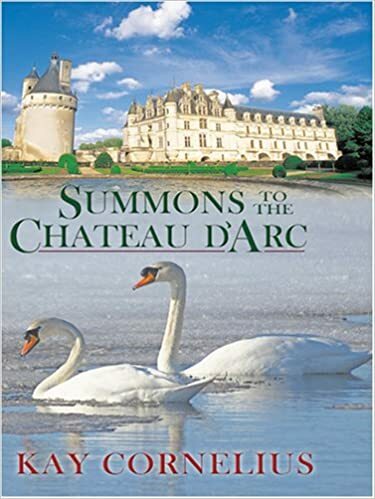 As the tension grows more unbearable, Ellen will have to risk everything she holds dear to discover the secrets that lurk in the shadows of the Chateau D'Arc. Kay Cornelius grew up in Winchester, Tennessee. She and her husband Don, retired from NASA and Lockheed-Martin Missiles and Space, live in Huntsville, Alabama.